Yogurt is one of the foods I miss the most, since having to avoid dairy. Unfortunately there are no good alternatives out there. And while there are some expensive cultured almond or coconut snacks available, they are filled with stabilizers, gums and other weird ingredients – so I don’t touch them. Not to mention they’re always super low fat, so what’s the point? I had resigned myself to not having any yogurt ever again, until I got an Instant Pot and can now make homemade Coconut Milk Yogurt! I guess I could have used this recipe with a standard yogurt maker, or the old school way of a pot in an oven overnight, but alas, it took me getting this awesome kitchen gadget to figure it out! Not only is yogurt super delicious, but it is another probiotic rich food. Supporting the gut bacteria through regular consumption of probiotic foods such as yogurt and sauerkraut, is one of the best things you can do for the health of your entire body! 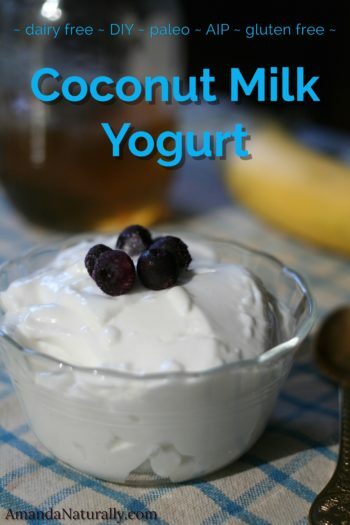 And when probiotic foods are as delicious as this coconut milk yogurt, it’s not hard to consume it on a regular basis! 1. Heat 4 cups of full-fat coconut milk (I prefer the Aroy D brand) in a pot, to 110F. 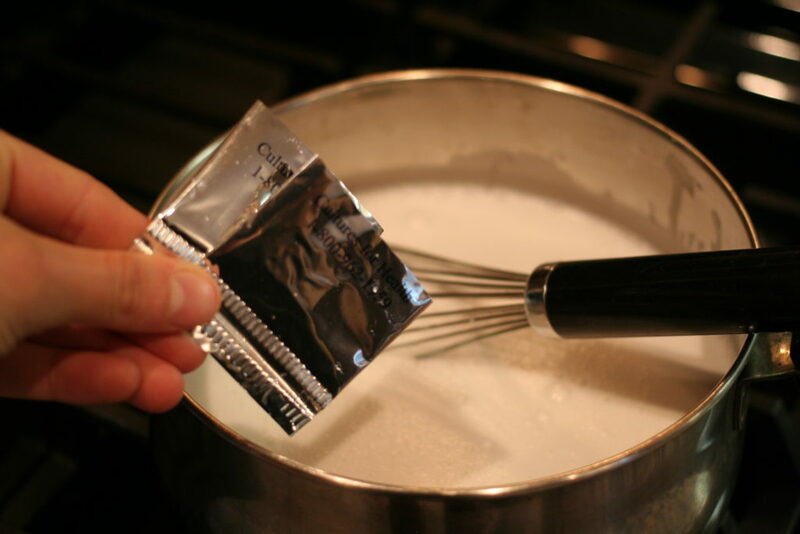 Use a candy thermometer, or an electronic meat thermometer ( <– another favourite kitchen gadget). Stir frequently, it only takes a few minutes. As soon as the temperature hits 110F, pull it off the heat. 3. 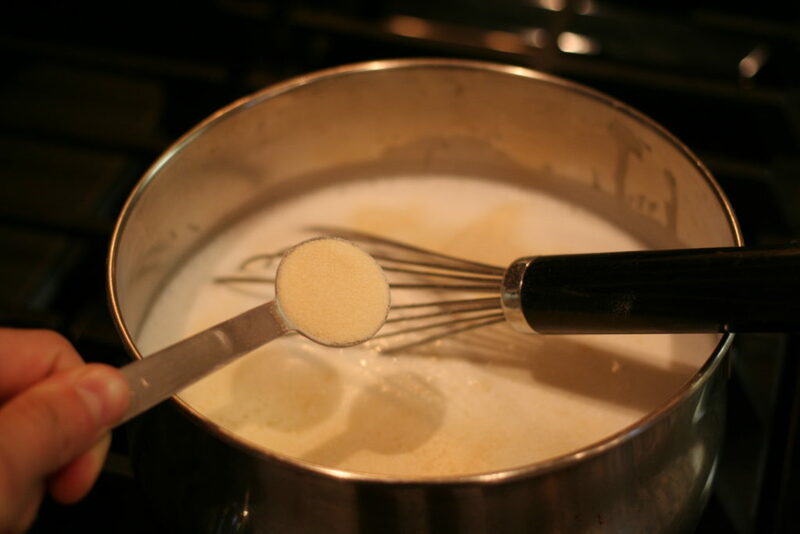 Whisk in 2 tsp grassfed gelatin. Without this, it won’t thicken. You will still have a yummy, tangy coconut milk, but it will definitely be milk, not yogurt. 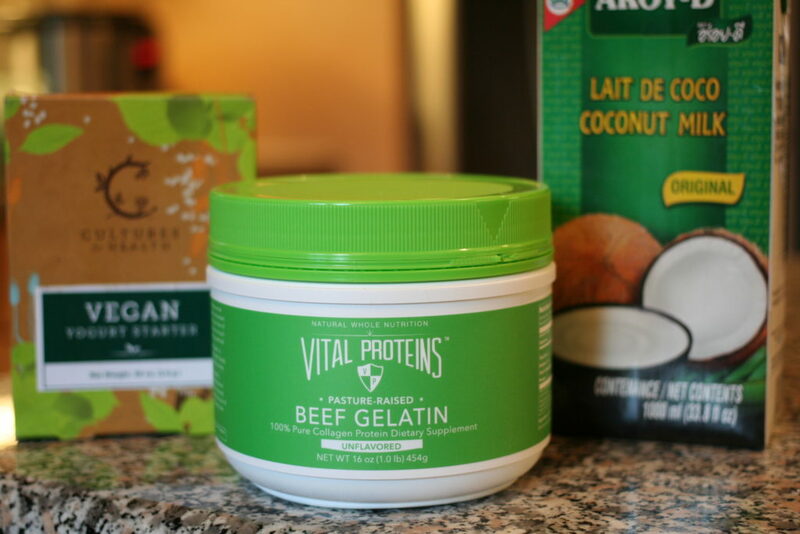 NOTE: Apparently you can use agar agar to keep it vegan, but I haven’t tried this since I’m always looking for extra ways to get in gelatin! 4. Pour into jars, or a glass bowl (that fits in the pot), and place in the bottom of the Instant Pot. NOTE: don’t put the yogurt directly in the Instant Pot. Since it is stainless steel, mine retains a slight hint of what was previously cooked – usually broth. And trust me, broth-flavoured coconut yogurt is not good. 5. Secure the lid (or place the glass lid on), press the “yogurt” button, adjust the time to 12 hours and walk away. NOTE: if you don’t like really tangy yogurt, start checking the flavour around 8 hours. 6. 12 hours later, remove from Instant Pot and store in fridge for a few hours to let set. If you are planning to make another batch, store ½ cup in a separate container to use again later. NOTE: I have found that I can only do this a few times, before I need to reinoculate with a new batch of probiotics/yogurt starter. Likely because there isn’t enough sugar in the coconut milk to support continual growth. You might have success by adding sugar or a simple starch like potato or tapioca, to encourage more growth. 7. Yogurt lasts about 2 weeks in the fridge, although it will start to separate after about a week. That’s just what happens when you don’t use any emulsifiers! It’s perfectly fine to eat! In step 3, I also add in a liberal amount of collagen peptides, which doesn’t gel. This adds extra protein and extra gut/joint/skin healing goodness. 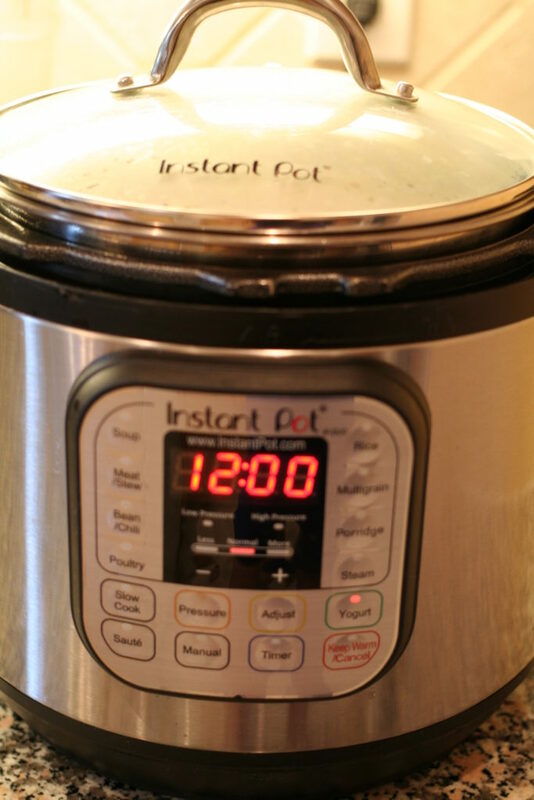 I love the Instant Pot because it’s a one-stop shop. It quickly became the most used (and loved) gadget in my kitchen. If you make bone broth regularly, it’s a no-brainer to add to your arsenal. However, it’s definitely not the cheapest item, and there are other ways to make yogurt that don’t require this gadget. 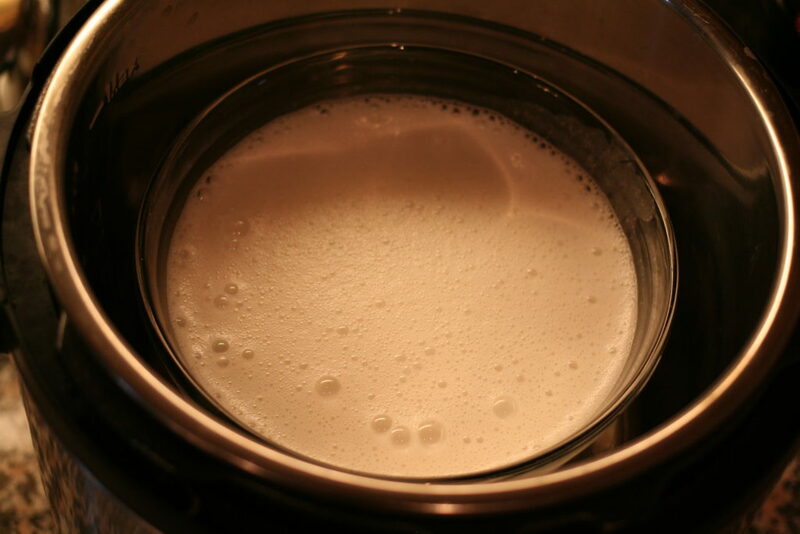 Check out the following resources if you want to make coconut-milk yogurt sans the Instant Pot. NOTE: the directions in the above links use cow milk. With coconut milk, you do not need to heat it to 200F first because there is no bacteria that needs to be pasteurized out. If you tolerate dairy, you can absolutely follow the same instructions, just make sure you heat the milk to about 200F first and let it cool before following steps 1-7 above. Cow, goat and sheep milk can all be used! 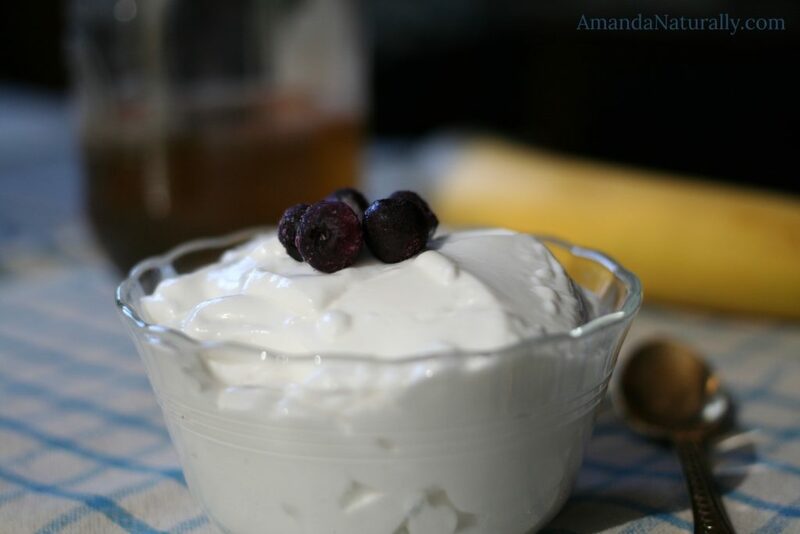 The reason for making your own dairy-yogurt is purely for nutritional value (and cost!). It can be extremely challenging to find quality dairy that is also higher in fat, and since the fat is what contains most of the nutrients from dairy, that’s what you want to be eating! Look for grassfed or organic yogurt that is as high fat as possible. I’m talking at minimum 2-3%, but ideally higher than that. Since that kind of product is hard to come by, purchasing organic or grassfed milk (or goat/sheep milk) and making your own yogurt is a solid option – not to mention friendlier on the wallet! 11 Comments | Leave a comment! In the ingredients list I mentioned that I use “Cultures for Health” Vegan Yogurt Starter, which is now hyperlinked to their website. You can find it at some health food stores as well. I know I’ve seen it at The Big Carrot in Toronto, and I think TNS or Healthy Planet in Whitby have it…Alternatively you can use a probiotic (directions in post)! Oops. Saw the link. Sorry. About eating meat… The arguments have all kinds of loopholes. I know all kinds of people who swear off meat for moral reasons.. They often state that wearing fur is immoral too. Ahem. They wear leather and wool and wash their bodies and clothes with detergent. They even have pets. Holey and not so holy. Hi Amanda, I have the Instapot, but it doesn’t have the Yogurt function. 🙁 It’s a different model. Do I need that setting to be able to use it for yogurt? Thanks and hope the pregnancy is going great! You look wonderful in your pics! Hi Izabela – I do believe you need the yogurt setting, because it keeps it at the ideal warmth for culturing yogurt bacteria. The other settings are for cooking, so will likely be too high. 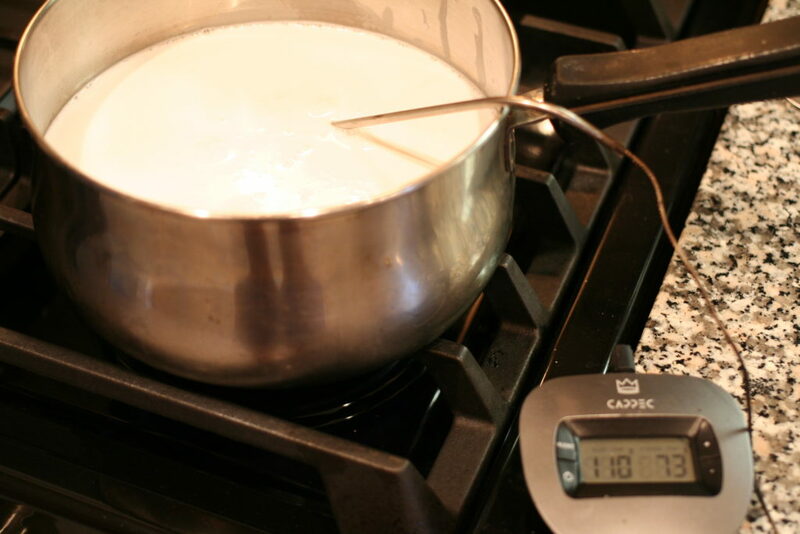 You can do the same thing in the stove overnight – check out the link in the blog post for other ways to make yogurt! Hi Dee – thanks for stopping by! I’m so glad you’re sharing your experiences about your health journey. It’s so beneficial – both personally and for others who find your blog. All the best on your path towards optimizing your life! I frequently make coconut yogurt and coconut kefir. The Yogourmet brand of starters work really well. One packet per quart of coconut milk. 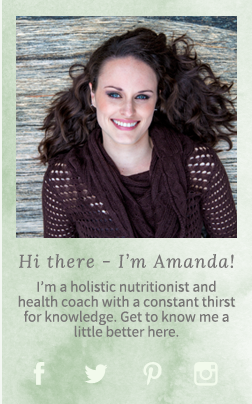 Like Amanda, I heat the milk to 110 degrees, then add 2 tablespoons coconut sugar, 1 tablespoon gelatin and the starter, put it in a glass jar, cap it and put in my yogurt maker for 12 to 24 hours. The kefir I don’t bother putting gelatin in. Sometimes I’ll add a couple of tablespoons of coconut sugar to the batch to help the culture along. The kefir doesn’t require heat. Just leave it on your counter. covered or capped in a glass jar, for 12 to 24 hours. I’ve even made coconut kefir using live kefir grains. A little more work, but worth the results. Again, I add a little coconut sugar to help with the ferment. Hi Kate! Thanks for stopping by and sharing your experience 🙂 I’ve definitely seen Yogourmet yogurt/kefir starters before – they’re much easier to find than the ones I use. 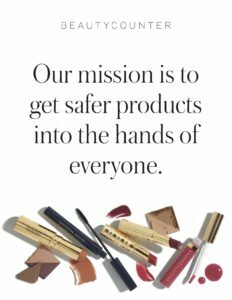 However, unfortunately they all use skim milk powder, and since I have a pretty serious dairy allergy, that’s too much exposure for me. For people who aren’t allergic, or just a little bit sensitive, it’s a great option! Good to know about the coconut sugar to – I didn’t think there was enough actual sugar in coconut sugar to augment fermentation! Have you made goat milk yogurt? Hi Bridget – I have! I just follow the same directions for cow-milk yogurt, like the “Simple Stove/Oven Method” linked above!